Cut it Out! TCI Has Lawn Mower Coatings!? Is your lawn mower finish just not cutting it? Look no further. 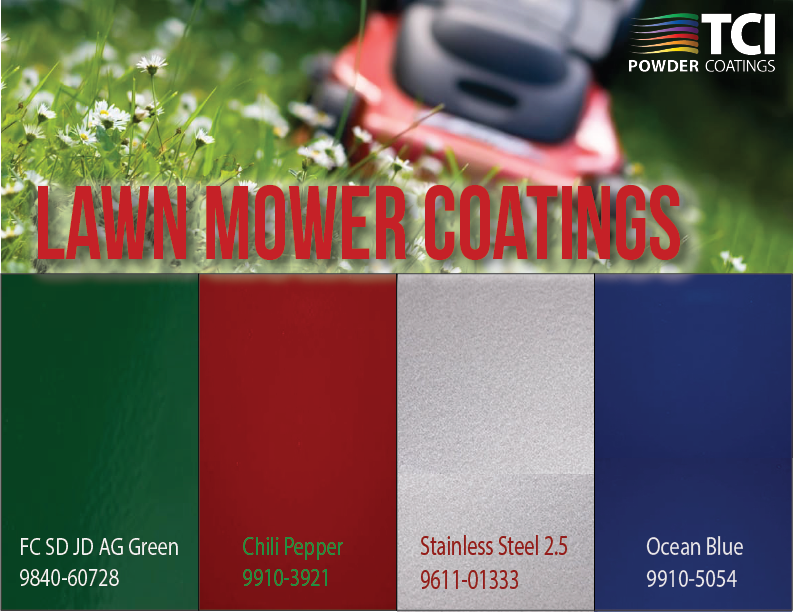 TCI has the durability and protection to keep any lawn mower covered. 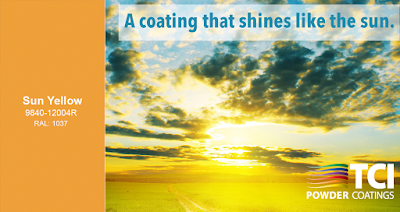 With various color options, we offer innovative and quality coatings for your needs. To view all of our Heavy Duty Equipment (HDE) coating options, click here. Looking for a bright, eye catching coating color? 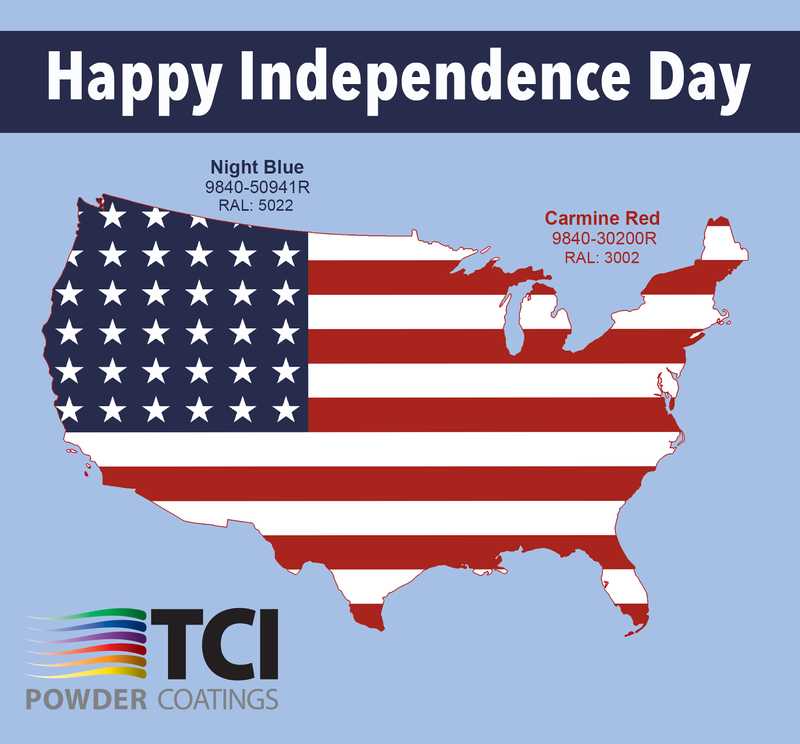 TCI brings a broad spectrum of colors to the table, giving you many selections to choose from, even unique and rare hues that can be hard to find. This month, we’re featuring Sun Yellow! This color is perfect for when you are looking for a high gloss, RAL yellow that is fast cure. This coating is great for outdoor applications with a high need for durability, such as playground equipment, hand railings, and patio furniture. TCI Welcomes Patrick Coady as Maintenance Director! 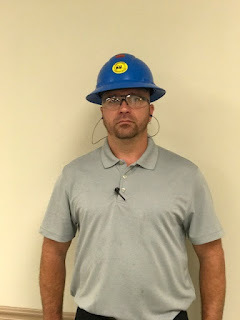 We would like to welcome Patrick Coady to the TCI team as Maintenance Director! Patrick is now in charge of keeping TCI’s maintenance department as safe and efficient as possible, while establishing a teamwork environment and maintaining state of the art processes and best practices for equipment. Patrick hopes to increase the organization of maintenance at TCI and create more systematic approaches. Patrick has a positive, upbeat personality in and outside of work, and we are happy to have him join the TCI family! 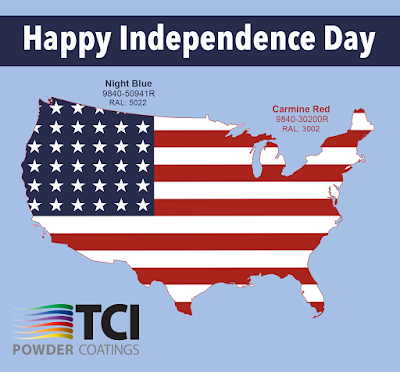 Happy Independence Day from TCI!